This contribution focuses on the Ajami tradition of the Muridiyya Sufi order founded by Cheikh Ahmadou Bamba Mbacké (1853-1927).7 The bulk of the materials discussed here is taken from those digitised with the support of the Endangered Archives Programme.8 The article addresses Ajami literacy in Africa and the factors that contributed to its flourishing among the followers of Muridiyya. It also explores the religious and secular functions of Ajami and its role in the emergence of the Murid assertive African Muslim identity that perpetually thwarts external tutelage and acculturation. Finally, it outlines the scholarly and practical benefits that could be gained from studying African Ajami systems. The misrepresentation of Ajami users in official statistics is due to the fact that “literacy” is generally construed for sub-Saharan Africans as the ability to read and write in Arabic or European languages or the ability to read and write African languages using the Latin script. This narrow and prevailing understanding of literacy has perpetuated the prevalent myth of sub-Saharan Africa as a region with no written traditions. This understanding of literacy espoused by African governments and international organisations has excluded the millions of people who regularly use Ajami.14 The rich African Ajami materials refute the pervasive myth of the holistic illiteracy of Africa that is perpetuated by the over-emphasis on African oral traditions in academia.15 This emphasis has resulted in the omission of Africa’s unique sources of knowledge in Ajami in various domains of knowledge production about the continent. As David Diringer has rightly noted, scripts generally follow religions.16 Just like the Latin script spread throughout the world through Christianity and was modified to write numerous European languages, so too the Arabic script spread through Islam and was modified to write numerous African languages. Many African Ajami traditions initially emerged as part of the pedagogies to disseminate Islam to the illiterate masses.17 However, their usage expanded to encompass other areas of knowledge, as for example in Figs. 11.5-11.8, 11.11, and 11.12, just as the Latin script flourished from the church environment to encompass other secular domains of knowledge of different European communities that had modified the script to meet their written communication needs. Until the 1920s, the information on banknotes in Senegal included Wolof Ajami text explaining their worth. Mamadou Cissé ties the removal of Wolof Ajami writings on Senegalese banknotes to the general neglect of West African Arabic-based writings, which he attributes to the bias against Islam of colonial authorities that post-colonial leaders perpetuated. He argues that both colonial and post-colonial authorities treat Arabic-based writings as a threat to the construction of a secular and multi-ethnic state.25 Banknotes with Ajami writings also existed in Nigeria. Hausa Ajami appeared alongside English on the Nigerian currency called Naira (₦) until the new ₦ 1,000 banknote introduced in 2006, but the new ₦ 20 and ₦ 50 banknotes introduced in March 2007 bear English, Yoruba, Igbo and Hausa, all in Roman script.26 Although the change represents a shift to a national language policy known as wazobia, which is construed as a symbol of national unity, Muslims took it as anti-Islamic, while a number of prominent Christians favoured it on the basis that Arabic (for which they had mistaken the Arabic script Hausa) was a foreign language.27 The existing evidence demonstrates that Ajami was and is not exclusively used for religious purposes. When studied, African Ajami materials will illuminate various aspects of Africa’s pre-colonial, colonial and post-colonial history. Although many African Ajami traditions began as part of the pedagogies of teaching religious subjects in Quranic schools and learning centres, little is known about the idiosyncratic local factors that account for the flourishing or lack of flourishing of Ajami in specific Muslim communities. It is widely accepted that Ajami thrived in the Hausaland of northern Nigeria particularly because Usman ɗan Fodio (1754-1817) and his family used Ajami poetry in order to convert people to Islam and to gain their support for their Jihad effort.28 In Fuuta Jalon in Guinea, Thierno Mombeya used Ajami to spread Islam to the farmers and herders and to express his desire for cultural autonomy.29 The exceptionally close links of the Fuuta Tooro (the origin of Oumar Tall) with Arabic-speaking centres of learning in North Africa likely prevented the flourishing of Ajami tradition in Fuuta Tooro.30 But nothing significant is known about why Ajami flourished among the Murids the way it did to become the primary means of written communication and the badge of their collective identity. The factors that contributed to the flourishing of Ajami among Murids are numerous. As shown in the previous section, grassroots Wolof Ajami literacy existed before the emergence of Ahmadou Bamba. Like their Hausa and Fulani colleagues in Hausaland and Fuuta Jalon,35 Wolof Muslim scholars were bilingual. Many produced didactic and devotional materials in Arabic and Wolof, their native tongue and the lingua franca in Senegambia.36 One of the most prominent Wolof scholars who wrote both in Arabic and Ajami is the jurist and poet Khaly Madiakhaté Kala (1835-1902) who initiated Bamba in the arts of poetry. Bamba was born and raised in Senegambia in the troubled nineteenth century, a period characterised by French colonisation and the destruction of the local traditional political and social structures. He emerged in the national scene in 1883 after the death of his father. Murid scholars regard 1883 as the birthdate of Muridiyya.42 From 1883 to his death in 1927, Bamba’s life was marked by suffering. He was wrongly accused of preparing a holy war against the French colonial administration and subsequently was exiled to Gabon for seven years (1895-1902). Related to this issue is the centrality of numeracy among Ajami users, an issue largely overlooked in the literature. Many successful business people, shopkeepers, farmers, fishermen, and merchants in African Muslim communities are Ajami users with good numeracy skills.52 Ironically, most of them know western numerals but they do not necessarily know the Arabic numerals. This is partly because the western numerals are readily available to them through the local currencies used in their communities. According to Sam Niang, archivist at the Bibliothèque Cheikhoul Khadim in Touba, who was born and raised in the Murid community, though the traditional Quranic schools do not teach numeracy as a subject matter, students generally acquire numeracy in western numerals through a process that could be termed “currency-derived numeracy”, i.e. through their sustained exposure to the currency used in their communities. His experience taught him that Murid Ajami users learn western numerals primarily from the money that circulates in their communities and schools. These include the coins of 5 francs (dërëm), 10 francs (ñaari dërëm), 15 francs (ñetti dërëm), 25 francs (juróomi dërëm), 50 francs (fukki dërëm), and 100 francs (ñaar fukk) and banknotes such as 500 francs (téeméer), 1000 francs (ñaari téemeer), 5000 francs (junni), and 10000 francs (ñaari junni). In order to execute his pedagogical and religious vision, Bamba focused on writing in Arabic for devotional purposes and to communicate with his peers, while at the same time he specifically tasked some of his senior disciples to communicate his ethos to the masses in their tongue (Wolof) through read, recited, and chanted Ajami poetry. The first four senior scholars he tasked to communicate his ethos to the masses were Mor Kairé, Samba Diarra Mbaye, Mbaye Diakhaté and Moussa Ka, the most famous Murid Ajami poet. All four were learned Muslim scholars who used to produce Arabic poems before Bamba tasked them to convey his teachings using Wolof in the form of Ajami poetry. They are responsible for the expansion of Ajami as a mass communication tool in Murid communities and its use as a badge of identity of their movement. A good example of their poetic work is a poem by Diakhaté illustrated in Fig. 11.4. The categorisation of the specialisations of Murid Ajami scholars, however, is not rigid. It is simply meant to reflect the major trends of Ajami scholars and their methods of production and dissemination of knowledge.62 This is because Ajami scholars are generally eclectic in their approach, and often combine activities and functions of several of the four categories. The following picture, Fig. 11.2, shows one eclectic Ajami scholar, who combines activities of social scientists and religious scholars. The blossoming of Ajami in Murid communities followed the three phases of Bamba’s spiritual odyssey: the first decade of his movement (1883-1895); his exile to Gabon (1895-1902); and his exile to Mauritania and house arrests (1903-1927). In the first phase he diverged from the traditional Islamic education system and created three types of schools in rural areas. He created Daaray Alxuraan (Quranic schools), Daaray Xam-Xam (Knowledge Schools), and Daaray Tarbiyya (Ethical and Spiritual Vocational Schools). In the first schools, traditional Quranic instruction was offered. In the second, Islamic sciences were taught. His disciples in these two schools mostly came from learned families. In the third schools new adult disciples who were largely illiterate were given ethical and vocational training (including physical work) combined with gradual study of the Quran and his Arabic poems. These were the largest schools in the initial years of the movement. It is in these early Murid schools that Ajami literacy first began to spread widely and to become later the primary means of written communication among the Murids.73 The trend continued during the second phase of Bamba’s life. But the use was not drastically different from other communities. During Bamba’s house arrest in Diourbel, Ajami writing, reading and chanting became part of the major activities in Murid communities and schools along with copying, reading, reciting and chanting the Quran and Bamba’s poems. During Bamba’s time in Diourbel, his compound gradually became a centre of Islamic learning and scholarship, and Moorish and Wolof disciples and teachers flocked to the quarter to work as readers of the Quran and scribes, copying Quranic and other religious books destined for students in the new schools that were opened in the area.78 Translations of Bamba’s poems and other Islamic didactic and devotional materials into Ajami were also part of the regular activities during this period.79 The activities of copying, translating and chanting didactic and devotional materials continued. They have become important employment-generating activities in Murid communities as illustrated in Figs. 11.9 and 11.10. Murid Ajami poems are grounded in the local culture. They contain maxims and metaphors drawn from it, as illustrated by the following metaphor in one of Diakhaté’s poems: “If you cannot resist worldly pleasures and your baser instinct for a day, you are no wrestler or if you are, you are (nothing but) a sand-eating wrestler”.86 Wrestling is the most popular traditional sport in Senegambia. The image of a wrestler is used to underscore the spiritual potency of religious leaders in the Wolof society. Mbër muy mëq suuf (a sand-eating wrestler) is the defeated wrestler thrown down so hard that his face and mouth are filled with sand. Diakhaté uses this local metaphor to refer to religious leaders who lack the appropriate ethical and spiritual credentials. The Wolof Ajami songs that attracted many Seereer people of the Baol area to Muridiyya include the two popular masterpieces by Ka, which describe the poignant lived and spiritual odyssey of Ahmadou Bamba.90 These works recount Bamba’s suffering, his confrontations with local immoral Muslim leaders, traditional rulers, and the French colonial administration, as well as his exemplary virtues, spiritual achievements, and his mission on earth from his emergence as a prominent religious leader in 1883 to his death in 1927. Through the discussion of African Ajami traditions in general and the Murid Wolof Ajami materials and their historical context, I have attempted to demonstrate that the prevailing treatment of Africa as lacking written traditions is misleading.95 It disregards the important written traditions of the continent, which are not taken into account in official literacy statistics and in the works of many historians, anthropologists and political scientists, to name only a few disciplines. Yet, just like written Arabic and European languages hold the Arab and European knowledge systems, so too Ajami sources are reservoirs of the knowledge systems of many African societies. The omission, dismissal and downplaying of the significance of African Ajami traditions among many scholars — including language planners, and governmental and non-governmental professionals — have perpetuated the stereotypes which have devalued sub-Saharan Africa’s people and their languages for centuries. Ka and Frederike Lüpke deplore and trace these stereotypes to the Arab-centric and Euro-centric traditions. While the tendency is to treat stereotypical representations and racial prejudice against the black population of sub-Saharan Africa as an exclusive Euro-Christian problem, the enduring historical facts tell a different story. Because of these misconceptions, many students of Africa continue to disregard the unfiltered voices of millions of people captured in Ajami materials as unworthy of scholarly attention. As Lüpke laments, even the few accounts in the educational literature that mention pre-colonial and ongoing Ajami writing traditions at all tend to stress their marginality.98 But the voices omitted due to the neglect of Ajami traditions contain illuminating insights that force revisions of various aspects of our understanding of Africa’s history, cultures, the blending of the African and Islamic knowledge systems, and the varying African responses to both colonisation and Islamisation (along with its accompanying Arabisation that the Murid Ajami sources challenge relentlessly). It is encouraging to note a growing interest in Africa’s Ajami traditions as the sources cited throughout this chapter demonstrate. 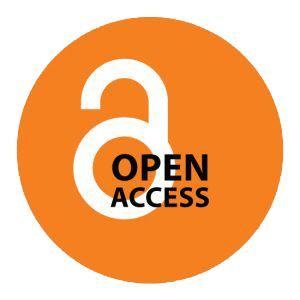 The current scholarly efforts on African Ajami orthographies and the new digital repositories of Ajami materials are important steps toward the crucial phase of translating the insights in African Ajami materials into major European languages and Arabic. It would be fascinating to see, for example, what intellectual response Ka’s Taxmiis bub Wolof would receive in the Arab world, if it were translated into Arabic. This is the work in which he celebrates his Islamic faith but rejects the Arabisation ideology that he believed came along with Islam in sub-Saharan Africa. This is a unique perspective that is only documented in Ajami sources. The translation of Ajami materials into major languages would open new doors for students of Africa across disciplines, giving access into hitherto unknown insights on the thinking, knowledge systems, moral philosophies, and religious and secular preoccupations of many African communities. With the exception of the reversed ḍammah above consonants attested in Bambara Ajami manuscripts,101 none of the proposed modified Arabic letters is traditionally used in West African Ajami systems. It has been argued that the local Wolof Ajami letters (so-called les lettres vieillies) are found in ancient texts. This suggests that Wolof Ajami letters are rarely or not found in current Ajami materials.102 This is incorrect. The so-called les lettres vieillies remain the most widely used letters in Wolof communities as illustrated by Figs. 11.5, 11.7, 11.8 and 11.12, and by the plethora of Wolof Ajami materials in the digital repositories cited throughout this article. While p is written in Persian, Urdu, Kurdish, Uyghur, Pashto, Sindhi and Osmanli (Ottoman Turkish) as پ,103 it is never written in this way in West African Ajami traditions. In Wolof and the other local African Ajami traditions, p is typically written with a single bāʾ (ب) or a bāʾ with an additional three dots below or above. Similarly, the letter proposed for the voiced velar consonant g (گ) is the same as the one used in Persian, Uyghur, Kurdish, Urdu and Sindhi.104 But this letter is also not used in West African Ajami writing systems. While the proposed approach was reasonable because some of the new characters were already encoded in Unicode, most were unknown in the region prior to the project. Symptomatically, the local Ajami systems that had devised their own diacritics to represent their peculiar vowels and their consonants that do not exist in Arabic, were excluded in the standardisation effort. This approach was also utilised for Senegambian Mandinka. The result is that although books, a keyboard and a typewriter were produced for the standardised Ajami orthographies, there is no single functioning school or community in Senegambia that uses the caractères arabes harmonisés. Ajami users continue to utilise their centuries-old Ajami orthographies to which they are loyal for cultural, historical and practical reasons as illustrated in Figs. 11.4-11.8, and 11.12.105 Most of the documents produced with the caractères arabes harmonisés are thus dormant in the offices where they were produced and in the homes of the people who participated in the harmonisation project. The experience with caractères arabes harmonisés shows that great initiatives can fail because of a wrong approach. It demonstrates that standardisation of Ajami scripts must be carried out bottom up, and must be grounded in local realities, if it is to be successful. Rather than teaching Ajami users who have been using their local Ajami orthographies for centuries to learn new diacritics and letters they have never seen, the diacritics and letters to be used as standards must be drawn from the pool of those already in use in local communities. Fig. 11.3 This image is the last page of Moukhtar Ndong’s Ajami healing and protection manual, Manāficul Muslim (EAP334/12/2, image 19), CC BY. The use of the Arabic numerals inside the design (made with the word Allāh) requires skills in Islamic numerology and mathematics.108 The image illustrates the different roles assigned to Arabic and Ajami in African Muslim societies. Only Arabic letters and numerals are used in the image because of their purported potencies. Ndong omitted the instructions on how to use the formula. The omission is not accidental, but devised to protect the potent knowledge of the formula. Protection of such potent knowledge is typically done by partial or full omission of information. Though some ingredients or instructions may be provided in Ajami, a crucial piece of information or the entire instruction may be omitted. This is because the authors generally acquired the knowledge through arduous peripatetic learning and they only provide it to deserving individuals. Bless whoever visits and thanks me and subdue whoever seeks to harm and to betray me. Your Lord is Sacred and unblemished of all that is alleged against Him; and He is The Most Exalted. May God’s blessing be upon all His Messengers. All praise belongs to God, The Sustainer of all the worlds. Using chronograms based on Maghrib Arabic numerals, Sy also provides in the book the birth and death dates of Bamba’s paternal ancestor (Maharame Mbacké). Sy reveals that he was born in the year Ayqashi (y+q+sh = 10+100+1000 = AH 1110/1698 CE) and died in the year Yurushi (y+r+sh = 10+200+1000 = AH 1210/ 1795 CE).112 This dating system, which is commonly used in Murid Ajami sources, remains unknown in the existing historical studies on Muridiyya. The maxim Loo yootu jàpp ko (Seize whatever you reach) echoes the pivotal teaching of optimism of Muridiyya. Muridiyya teaches that genuine Murids will achieve their wishes in life as a prelude for their paradise in the afterlife. The image illustrates the digraphia situation in Diourbel where Ajami dominates French literacy. The entire message of the advertisement is in Ajami because it targets Ajami users who represent the majority of the population of the region of Diourbel. The word tigadege (peanut butter) is written as tikidigi. While these variations constitute challenges for outsiders to read Ajami materials, they do not pose problems for local Ajami users. This is because local Ajami users know the dialectal, sociolectal, idiolectal, and stylistic variations in Ajami materials of their communities. Just like most native speakers and educated people can predict Arabic vowels in a work, so too Ajami users can generally predict the consonant or vowel the author intended based on their knowledge of the contextual and stylistic cues in Ajami materials of their communities. The text also reflects the use of Ajami as the badge of identity among Murids. The owner of this small business asserts his Murid identity with the last phrase of his advertisement: “Waa Kër Xaadimu Rasuul [The People of the Servant of the Prophet]”. “Xaadimu Rasuul [The Servant of the Prophet]” is one of the most popular names of Bamba, the founder of Muridiyya. Besides the Ajami materials, the image captures the centrality of work ethic in Muridiyya. The patchwork clothing is a symbol of the group of Murids who emulate Ibra Fall (called “Baye Fall”), the most loyal disciple of Bamba popularly known as the apostle of work ethic. The belt around the man’s waist symbolises “the belt of work ethic”. in Touba, Senegal, 12 July 2014. Similar to image 7 and 8, this image also reflects the digraphia situation in Touba, which is located in the region of Diourbel. It is worth noting that the advertisement is not written with the caractères arabes harmonisés, which most people do not know. The Ajami text is written with Eastern Arabic script (Mashriqī) which many people now know rather than the Maghribī script more commonly used in West Africa. It reads as follows in standard Wolof: “Jokko leen ci ni mu leen neexee ak Illimix #250#. Woote (below a telephone icon), mesaas (below the message icon), and enterneet (below the icon @) [Communicate freely with Illimix by dialling #250# to call, send a text message, or access the Internet]”. The Wolof vowel e is systematically written with a kasrah, which is one way to write the vowel in Wolof Ajami.114 The phone company understood that Ajami is key for the effective marketing of its product in the Murid areas. In the region of Diourbel, all important announcements destined to the public — be they public health announcements, calls to action, speeches or official letters of the highest authority of the Murid order (the Khalife Général des Mourides) — are first written in Ajami before their subsequent reading on television and radio stations and translated into French for wider national dissemination. Murids nationwide often receive copies of the original announcements in Ajami scripts through their regional leaders. Such a use of Ajami as a mass communication tool is a uniquely Murid phenomenon in Senegal.115 The Murid have revalorised Ajami and made it their preferred written communication tool and their badge of identity. The Orange company is thus ahead of the Senegalese government (which continues to treat Ajami users as illiterate) in acknowledging the large constituent of Ajami users and the economic benefits of engaging with them. With similar efforts of private individuals, NGOs and companies, we hope that African governments will realise the benefits of including Ajami texts in the educational, economic and developmental priorities of their post-colonial states. Dieng, Bassirou, and Diaô Faye, L’Épopée de Cheikh Ahmadou Bamba de Serigne Moussa Ka: Jasaa-u Sakóor-u Géej gi–Jasaa-u Sakóor Jéeri ji (Dakar: Presses Universitaires de Dakar, 2006). Humery, Marie-Ève, “Fula and the Ajami Writing System in the Haalpulaar Society of Fuuta Tooro (Senegal and Mauritania): A Specific ‘Restricted Literacy’”, in The Arabic Script in Africa: Studies in the Use of a Writing System, ed. by Meikal Mumin and Kees Versteegh (Leiden: Brill, 2014), pp. 173-98. Luffin, Xavier, “Swahili Documents from Congo (19th Century): Variations in Orthography”, in The Arabic Script in Africa: Studies in the Use of a Writing System, ed. by Meikal Mumin and Kees Versteegh (Leiden: Brill, 2014), pp. 311-17. Mbacké, Mouhammadou Moustapha Falilou, Afdhalul Hiraf-Taclīmu Haraf Ngir Fer ijji [The Best Letters-Teaching Letters for Literacy] (Touba: [n. pub. ], 1995). Seesemann, Rüdiger, “‘The Shurafâ’ and the ‘Blacksmith’: The Role of the Idaw cAli of Mauritania in the Career of the Senegalese Ibrâhîm Niasse (1900-1975)”, in The Transmission of Learning in Islamic Africa, ed. by Scott S. Reese (Leiden: Brill, 2004), pp. 72-98. Zito, Alex, Prosperity and Purpose, Today and Tomorrow: Shaykh Ahmadu Bamba and Discourses of Work and Salvation in the Muridiyya Sufi Order of Senegal (Ph.D. thesis, Boston University, 2012). 1	The transliteration of Arabic words in this chapter is based on the LOC transliteration system. 2	See Helmi Sharaway, ed., Heritage of African Languages Manuscripts (Ajami), 1st edn. (Bamako: Institut Culturel Afro-Arabe, 2005); Meikal Mumin and Kees Versteegh, eds., The Arabic Script in Africa: Studies in the Use of a Writing System (Leiden: Brill, 2014); and Moulaye Hassane, “Ajami in Africa: The Use of Arabic Script in the Transcription of African Languages”, in The Meaning of Timbuktu, ed. by Shamil Jeppie and Souleymane Bachir Diagne (Cape Town: Human Sciences Research Council 2008), pp. 115-17. 4	David Gutelius, “Newly Discovered 10th/16th c. Ajami Manuscript in Niger Kel Tamagheq History”, Saharan Studies Newsletter, 8/1-2 (2000), 6. 6	Muhammed Haron, “The Making, Preservation and Study of South African Ajami Manuscripts and Texts”, Sudanic Africa, 12 (2001), 1-14. 7	Fallou Ngom, “Murīd Identity and Wolof Ajami Literature in Senegal”, in Development, Modernism and Modernity in Africa, ed. by Augustine Agwuele (New York: Routledge, 2012), pp. 62-78; Fallou Ngom, “Ahmadu Bamba’s Pedagogy and the Development of Ajami Literature”, African Studies Review, 52/1 (2009), 99-124; Sana Camara, “Ajami Literature in Senegal: The Example of Sëriñ Muusaa Ka, Poet and Biographer”, Research in African Literatures, 28/3 (1997), 163-82; and Alex Zito, Prosperity and Purpose, Today and Tomorrow: Shaykh Ahmadu Bamba and Discourses of Work and Salvation in the Muridiyya Sufi Order of Senegal (Ph.D. thesis, Boston University, 2012). 9	Lüpke, pp. 90-107; Meikal Mumin, “The Arabic Script in Africa: Understudied Literacy”, in The Arabic Script in Africa: Studies in the Use of a Writing System, ed. by Meikal Mumin and Kees Versteegh (Leiden: Brill, 2014), pp. 41-62; Andy Warren-Rothlin, “West African Scripts and Arabic Orthographies”, in The Arabic Script in Africa, ed. by Mumin and Versteegh, pp. 261-88; and Fiona McLaughlin, “Dakar Wolof and the Configuration of an Urban Identity”, Journal of African Cultural Studies, 14 (2001), 153-72 (p. 165). For the use of Hausa Ajami by a contemporary female Hausa teacher in Niger, see Ousseina D. Alidou, Engaging Modernity: Muslim Women and the Politics of Agency in Postcolonial Niger (Madison, WI: The University of Wisconsin Press, 2005), pp. 52-56. 10	Mamadou Cissé, “Écrits et écriture en Afrique de l’ouest”, Sudlangue: revue électronique internationale de sciences du language, 6 (2007), 77-78. 12	Marie-Ève Humery, “Fula and the Ajami Writing System in the Haalpulaar Society of Fuuta Tooro (Senegal and Mauritania): A Specific ‘Restricted Literacy’”, in The Arabic Script in Africa, ed. by Mumin and Versteegh, pp. 173-98. 14	For a discussion of some of these issues, see Lüpke, pp. 90-107; Coleman Donaldson, “Jula Ajami in Burkina Faso: A Grassroots Literacy in the Former Kong Empire”, Working Papers in Educational Linguistics, 28/2 (2013), 19-36; and Fallou Ngom, “Ajami Script in the Senegalese Speech Community”, Journal of Arabic and Islamic Studies, 10/1 (2010), 1-23. 15	For a discussion on the treatment of Africa as lacking written traditions, see Lüpke, pp. 91-93. 16	David Diringer, The Alphabet: A Key to the History of Mankind (New York: Philosophical Library, 1948). For a similar discussion, see Ghislaine Lydon, “A Thirst for Knowledge: Arabic Literacy, Writing Paper and Saharan Bibliophiles in the Southern Sahara”, in The Trans-Saharan Book Trade: Manuscript Culture, Arabic Literacy and Intellectual History in Muslim Africa, ed. by Graziano Krätli and Ghislaine Lydon (Leiden: Brill, 2011), pp. 37-38. 19	“Palabre de Traité entre le Roi de France et le Roi de Bar [Treaty Palaver between the King of France and the King of Bar]”, 13 May 1817, in Archives Nationales d’Outre-Mer, Aix-en-Provence, France, Sen/IV/1. 20	For a discussion on the French “civilising mission”, see Alice L. Conklin, The French Republican Idea of Empire in France and West Africa, 1895-1930, 1st edn. (Stanford, CA: Stanford University Press, 1997). 21	By “signing in Ajami”, I mean that the signatures contain modified Arabic letters such as the “reversed ḍammah” (or “inverted ḍammah”) attested in San Bambara and Pulaar Ajami writings. See Valentin Vydrin, “Ajami Script for Mande Languages”, in The Arabic Script in Africa, ed. by Mumin and Versteegh, pp. 119-224 (p. 222); and “Convention between the Emperor of France and the King of Maligia”, 5 May 1854 and 5 August 1854, in Archives Nationales d’Outre Mer, Aix-en-Provence, France, Senegal, IV, 28a. 22	For other secular usages of Ajami in the colonial era, see Abbé David Boilat, “Notes du Fouta Toro”, Société de Géographie, Ms 8, pp. 48-49; also see the use of Ajami in ornithology in the late 1890s in Ludovic Besson, “Les Collectes ornithologiques sénégalais de Victor Planchat dans la collection Albert Maës”, Symbioses nouvelle série, 30/2 (2013), 2-16; and in Nadia Bougrine and Ludovic Besson, “Décryptage des termes en wolof et soninké utilisés pour les collectes ornithologiques de Victor Planchat”, Symbioses nouvelle série, 31/1 (2013), 1-8. 23	Archives Nationales d’Outre-Mer, Aix-en-Provence, France, FN, SG, SN, XVI, 1. 24	See “Lettre de Diaorine Boul Madeguène Samba, Chef des notables et des hommes libres”, Archives d’Outre Mer, Aix-en-Provence, France, SG, SN, IV, 98b. 25	Cissé, “Écrits et écriture en Afrique de l’ouest”, p. 72. 28	Gérard, p. 47; David Robinson, Muslim Societies in African History (Cambridge: Cambridge University Press, 2014), pp. 145-46; Jean Boyd and Beverly Mack, Collected Works of Nana Asma’u: Daughter of Usman ɗan Fodiyo, 1793-1864 (East Lansing, MI: Michigan State University Press, 1997); and Anneke Breedveld, “Influence of Arabic Poetry on the Composition and Dating of Fulfulde Jihad Poetry in Yola (Nigeria)”, in The Arabic Script in Africa, ed. by Mumin and Versteegh, pp. 143-57. 29	Alfâ Ibrâhîma Sow, La Femme, la Vache, la Foi (Paris: Julliard Classiques Africains, 1966), p. 15. 30	Gérard, p. 57. This factor could help to explain the “restricted literacy” in Pulaar Ajami in Fuuta Tooro that Marie-Ève Humery reports (pp. 173-98). 31	Oxford Business Group, The Report: Senegal 2009 (Oxford: OBG, 2009), p. 10. 32	For insights on Senegalese Sufi orders, see Khadim Mbacké, Sufism and Religious Brotherhoods in Senegal, trans. by Eric Ross, ed. by John Hunwick (Princeton, NJ: Markus Wiener, 2005). 33	Cheikh Anta Babou, Fighting the Greater Jihad: Amadu Bamba and the Founding of the Muridiyya of Senegal, 1853-1913 (Athens, OH: Ohio University Press, 2007), p. 97. 34	Ngom, “Murīd Identity and Wolof Ajami Literature”, pp. 62-54. 36	For more on Moussa Ka’s bilingual competence, see Camara, pp. 164-68. Also see bilingual poems by Samba Diarra Mbaye, written around 1903, in “Ay Qasiday Wolof ak Arab [Poems in Wolof and Arabic]” (EAP334/13/2). 38	Interview with Sam Niang (archivist at the Bibliothèque Cheikhoul Khadim), Touba, Senegal, 12 July 2014. All interviews were conducted by the author unless otherwise stated. Thanks to Sam Niang for giving me a copy of the poem. 39	Ngom, “Ahmadu Bamba’s Pedagogy”, pp. 99-124; Gérard, pp. 44-45; and Lüpke, p. 102. 40	See Babou; David Robinson, Paths of Accommodation: Muslim Societies and the French Colonial Authorities in Senegal and Mauritania, 1880-1920 (Athens, OH: Ohio University Press, 2000); John Glover, Sufism and Jihad in Modern Senegal: The Murid Order (Rochester, NY: University of Rochester Press, 2007); Allen F. Roberts and Mary Nooter Roberts, A Saint in the City: Sufi Arts of Urban Senegal (Los Angeles, CA: UCLA Fowler Museum of Cultural History, 2003); and Fernand Dumont, La Pensée Religieuse d’Amadou Bamba (Dakar: Nouvelles Éditions Africaines, 1975). 41	See Mahmoud Niang, Jaar-jaari Boroom Tuubaa [Itineraries of the Master of Tuubaa] (Dakar: Librairie Cheikh Ahmadou Bamba, 1997); Moussa Ka, Jasaawu Sakóor: Yoonu Géej gi [Reward of the Grateful: The Odyssey by Sea] (Dakar: Librairie Touba Darou Khoudoss, 1997); and Ka, Jasaawu Sakóor: Yoonu Jéeri ji [Reward of the Grateful: The Odyssey by Land] (Rufisque: Afrique Impression, 2006). For a Latin-script transcription and French translation of Ka’s two poems, see Bassirou Dieng and Diaô Faye, L’Épopée de Cheikh Ahmadou Bamba de Serigne Moussa Ka: Jasaa-u Sakóor-u Géej gi–Jasaa-u Sakóor Jéeri ji (Dakar: Presses Universitaires de Dakar, 2006). 42	Interviews with Masokhna Lo (Imam of the Mosque of Diourbel), Diourbel, Senegal, 11 June 2011; Mbaye Nguirane, Diourbel, Senegal, 11 June 2011; and Sam Niang. 43	See Archives du Sénégal, 13 G12, versement 1; and Archives du Sénégal 13 G/12-1, copied in Oumar Ba, Ahmadou Bamba face aux Autorités Coloniales, 1889-1927 (Abbeville: Imprimerie F. Paillart, 1982), pp. 159-60. 44	Niang, Jaar-jaari Boroom Tuubaa, p. 37. 45	See Ka, Jasaawu Sakóor: Yoonu Géej gi, verses 169-70; verses 178-82, and verses 189-91; Jasaawu Sakóor: Yoonu Jéeri ji, verses 5-24 and verse 358; Niang, Jaar-jaari Boroom Tuubaa, p. 38; and Abdoul Ahad Mbacké, Khalife Général des Mourides (1968-1989), Waxtaanu Màggal 1979 (Discussion of the 1979 Màggal), audio recording, Touba, 1979. 47	Interviews with Cheikh Fall Kairé (grandson of the Ajami poet Mor Kairé), Touba, Senegal, 24 July 2011; and Moustapha Diakhaté (son and representative of the Ajami poet Mbaye Diakhaté’s family), Khourou Mbacké, Senegal, 25 July 2011. 48	See the use of unaltered Arabic letters in talismanic figures in Moukhtar Ndong, Manāfi’ul Muslim [Mystical Healing and Protection Manual] (EAP334/12/2). 49	For an insightful history of western numerals, see Stephen Chrisomalis, Numerical Notation: A Comparative History (Cambridge: Cambridge University Press, 2010). 50	For examples of “pointers”, see “Alxuraan bu ñu Tekki ci Wolof [The Quran Translated in Wolof]” (EAP334/6/5). 51	For more insights on the potency of Arabic letters and numerals, see Constant Hamès, ed., Coran et Talismans: Textes et Pratiques Magiques en Milieu Musulman (Paris: Éditions Karthala, 2007). 52	See the Pulaar and Wolof business records in Ajami in footnote 12. 53	Interview with Sam Niang. This fascinating “currency-derived numeracy” among Murid Ajami users begs for further scholarly inquiry. 56	See Ngom, “Ahmadou Bamba’s Pedagogy”, p. 109; Gérard, p. 73; and Cheikh Anta Diop, Nations nègres et culture, 4th edn. (Dakar: Présence Africaine, 1979), pp. 528-32. 57	Ngom, “Ahmadou Bamba’s Pedagogy), pp. 108-09. 60	For the works of key Ajami poets regularly chanted in Murid communities, see EAP334. There are numerous popular individuals in Murid communities whose profession is chanting and reciting the Arabic poems of Bamba and those of his Ajami poets. These include Ibra Diop Karaman, Abdoul Ahad Touré, Akassa Samb, Khadim Guèye, Mama Ndiaye, Moussa Guèye-Ndar, Djim Cissé, Khaly Sèye, Cheikh Diop-Baye Fall, Moustapha Gningue, Mountapha Guèye, and Samba Wade, to name only a few. 61	Some of these Murid scribes and copyists can be found at a place called Keur Serigne bi in the Sandaga market in Dakar, Senegal. 62	Ngom, “Ahmadou Bamba’s Pedagogy”, pp. 108-09. 63	Moussa Ka, Taxmiis bub Wolof [The Wolof Takhmīs] (Dakar: Imprimerie Librairie Cheikh Ahmadou Bamba, [n.d.]), verse 8. 64	For information on how El Hadji Mbacké’s ranks his sources and accounts of Bamba’s sayings and teachings, which echoes the methodology of hadith scholars, see El Hadji Mbacké, Waxtaani Sëriñ Tuubaa [Discussions of The Master of Tuubaa], 1 (Dakar: Imprimerie Cheikh Ahmadal Khadim, 2005), p. 87. For the methodology of hadith scholars, see Hamza Yuyuf Hanson, “The Sunna: The Way of The Prophet Muhammad”, in Voices of Islam, ed. by Vincent J. Cornell, 5 (Westport, CT: Praeger, 2007), pp. 125-47. 65	See Niang, Jaar-jaari Boroom Tuubaa. 66	Ousmane Kane, The Homeland Is the Arena: Religion, Transnationalism, and the Integration of Senegalese Immigrants in America (New York: Oxford University Press, 2011), p. 37. 67	Rüdiger Seesemann, “‘The Shurafâ’ and the ‘Blacksmith’: The Role of the Idaw cAli of Mauritania in the Career of the Senegalese Ibrâhîm Niasse (1900-1975)”, in The Transmission of Learning in Islamic Africa, ed. by Scott S. Reese (Leiden: Brill, 2004), pp. 72-98 (p. 93). For further insights on the perceptions and treatments of black people by Arab/Berbers in West Africa, see Robinson, Paths of Accommodation, pp. 11-13; and Bruce S. Hall, A History of Race in Muslim West Africa, 1600-1960 (New York: Cambridge University Press, 2011). 68	Abdoul Aziz Mbacké, Ways Unto Heaven (Dakar: Majalis Research Project, 2009), p. 39. This book is a good English translation of Masālik al-Jinān. 69	See Ka, Taxmiis bub Wolof. In this poem, Ka praises Bamba, asserts his own proud African Muslim identity, and defends the legitimacy of Ajami in religious discourse. He also rejects the belief in the superiority of Arabs and Arabic over black people and African languages held by some of his peers. He claims that ethnolinguistic diversity is a blessing, a divine grace. For a chanted version of Taxmiis bub Wolof, see http://www.youtube.com/watch?v=pvxI_iQOyiU. For further insights on the Arabisation ideology and the response of the Berber population in Algeria, see Lameen Souag, “Writing ‘Shelha’ in New Media: Emergent Non-Arabic Literacy in Southwestern Algeria”, in The Arabic Script in Africa, ed. by Mumin and Versteegh, pp. 91-94; and Judith Scheele, “Coming to Terms with Tradition: Manuscript Conservation in Contemporary Algeria”, in The Trans-Saharan Book Trade, ed. by Krätli and Lydon, pp. 292-318. 70	Ka,Taxmiis bub Wolof, stanzas 1-4. 71	See the mission statement of Muridiyya, “Lan mooy Yoonu Murid? [What is the Murid Way? ]”, in Niang, Jaar-jaari Boroom Tuubaa, pp. 7-8. 72	The work that has lasting impact on the scholarship on Murdiyya, which has omitted Ajami sources and relies primarily on colonial archives, is Donald B. O’Brien, Mourides of Senegal: The Political and Economic Organization of an Islamic Brotherhood (Oxford: Oxford University Press, 1971). There is a plethora of works on Muridiyya that has followed his tradition. 73	Ngom, “Ahmadu Bamba’s Pedagogy”, pp. 107-08. 74	Interviews with Masokhna Lo and Mbaye Nguirane; Cheikh Fall Kairé; Moustapha Diakhaté; Amdy Moustapha Seck (specialist of Ka’s work and professional Ajami singer), Dakar, Senegal, 12 June 2013; and Sam Niang. 75	See Moussa Ka, Waa ji Muusaa Bul Fàtte Waa ja fa Tuubaa [Dear Moussa, Do not Forget the Man in Touba] (Dakar: Imprimerie Islamique al-Wafaa, 1995). Ka presents Bamba in this poem as the embodiment of many saints and the saviour of both black and white people. In his worldview, all humanity consists of these two races. 76	Mor Kairé, “Ku Dawal Sunu Shaykh ba Daloo Ngërëmam [If you Serve Our Leader till you Obtain his Endorsement]”, verse 9 (EAP334/14/9). 81	See Moussa Ka and Sokhna Amy Cheikh Mbacké, Qasidak Wolofalu Maam Jaara [A Wolof Ajami Tribute to Maam Jaara] (Touba: Ibrahima Diokhané, [n.d.]). 82	Interview with Sam Niang. 83	Sokhna Mai Sakhir wrote a moving Ajami poem between 1974 and 1975 in which she presents her condolences to her husband and family for her daughter, Mame Faty Mbacké-Balla, who died at a young age. See Al Hamdu li’llāhi Ma Sant Yàlla [Thanks be to God, Let Me Grateful to God] (Dakar: Imprimerie Serigne Saliou Mbacké, 2007), pp. 1-26. Soxna Mai Kabir wrote Maymunatu, Bintul Xadiim [Maymunatu, Daughter of The Servant] (Dakar: Imprimerie Serigne Saliou Mbacké, 2007), pp. 27-32. This poem is quite popular in Murid communities. For its chanted version, see Wolofalu Soxna Maymunatu Mbàkke, audiocassette, chanted by Abdoul Ahad Touré, recorded by Studio Talla Diagne, Touba, 2005. Sokhna Aminatou Cissé is the author of “Maa’u Rahma [Water of Grace]” in Jaayante ci Ndoxum Tuubaa, Vol. 1. [Commitment to the Water of Touba, Vol. I] (Touba: SA-Edition Magal 2012), pp. 17-21. There are likely other female Murid Ajami writers to be discovered. 84	Interview with Bassirou Kane. Bassirou Kane’s father, Abdou Kane (1915-2000), was a student and assistant to Diakhaté. 85	For the calligraphic copying of the Quran, see Seyyed Hossein Nasr, Islamic Art and Spirituality (Albany, NY: State University of New York Press, 1987). 86	Souhaibou Diakhaté, Xasiday Wolofalu Sëriñ Mbay Jaxate: Li War ab Sëriñ ak ab Taalube [Ajami Poems of Mbay Jaxate: Duties of Leaders and Disciples] (Dakar: Imprimerie Issa Niang, [n.d.]), verse 3. 88	Interview with Amdy Moustapha Seck. 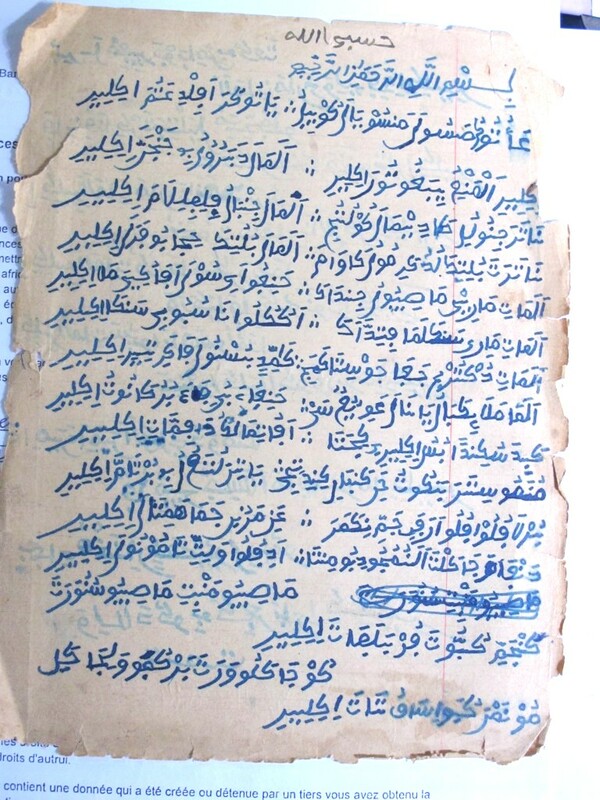 89	For samples of Cheikh Ngom’s written legacy, see “Wolofal Rare Documents”, contributed by Fallou Ngom to Africa’s Sources of Knowledge Digital Library, http://ask-dl.fas.harvard.edu/search/node/Cheikh%20Ngom?page=1. Although Cheikh Ngom wrote exclusively in Wolof Ajami because of the Murid influence on him, other Muslim members of the Seereer ethnic group who live in areas beyond the sphere of influence of Muridiyya have developed grassroots literacy in Seereer Ajami. The script in the few ephemeral Seereer Ajami texts I have seen in the regions of Thiès and Fatick shares features with Wolof Ajami. For example, p is written with bāʾ with three dots above or below just like in Wolof. 90	See Ka, Jasaawu Sakóor: Yoonu Géej gi; and idem, Jasaawu Sakoor: Yoonu Jéeri ji. 91	Habibou Rassoulou Sy, Fonk sa Bopp di Wax li Nga Nàmp [Respect Yourself by Speaking your Mother Tongue] (Kaolack: [n. pub. ], 1983). 92	Mouhammadou Moustapha Mbacké-Falilou, Afdhalul Hiraf-Taclīmu Haraf Ngir Fer ijji [The Best Letters-Teaching Letters for Literacy] (Touba: [n. pub. ], 1995). 94	Following is an incomplete list of known Murid television and radio stations, audio recording studios, private presses, and bookstores: Al Mouridiyah TV, Lamp Fall TV, Al Bichri TV, Touba TV, Lamp Fall FM, Sokhna Faty Mbacké FM, Diant Bi FM, Disso FM, Studio Talla Diagne, Studio Kabou Fall, Studio Moustapha Fall-Mouride Sadikhe, Studio Hizbut-Tarqiyyah, Darou Mouhty Éditions, Impression Cheikh Ahmadal Khadim, Impression Keur Serigne Kébé, Imprimerie Librairie Cheikh Abdoul Ahad Mbacké, Imprimerie Librairie Cheikh Ahmadou Bamba, Imprimerie Moustapha Guèye, Imprimerie Serigne Issa Niang, Imprimerie Serigne Saliou Mbacké, Imprimerie Touba Darou Salam, Librairie Imprimerie Cheikh Ahmadou Bamba, Imprimerie Touba Photo, Librairie Imprimerie Touba Darou Khoudoss, Imprimerie Serigne Fallou Mbacké, and Imprimerie Serigne Massamba Mbacké. The investments that the Murids have made in telecommunication, publishing presses, bookstores, and audiovisual recording of their written and verbalised Arabic and Ajami materials are unmatched among Sufi orders of Senegambia. These investments have contributed to the expansion of the movement in the region. 95	For a criticism of the prevailing treatment of Africa as a continent devoid of writing traditions, see also Lüpke, pp. 91-93. 96	Chouki El Hamel, Black Morocco: A History of Slavery, Race, and Islam (New York: Cambridge University Press, 2013), p. 75. 97	Ousmane Kane, Les intellectuels Africains non-Europhones (Dakar: Codesria, 2002), p. 8. 115 See an official letter of the late Khalife Général des Mourides Cheikh Mouhammad Lamine Bara Mbacké (2007-2010) recognising the foundation of the Murid youth organisation in the city of Ziguinchor in southern Senegal: “Formal approval of the birth of a youth Murid organization”, contributed by Fallou Ngom to Africa’s Sources of Knowledge Digital Library, http://www.ask-dl.fas.harvard.edu/content/formal-approval-birth-youth-murid-organization-wolofal-wolof-ajami. Despite being far from the traditional sphere of influence of Muridiyya, the order has expanded in the southern part of Senegal thanks to its mass communication system based on written and verbalised Ajami materials.